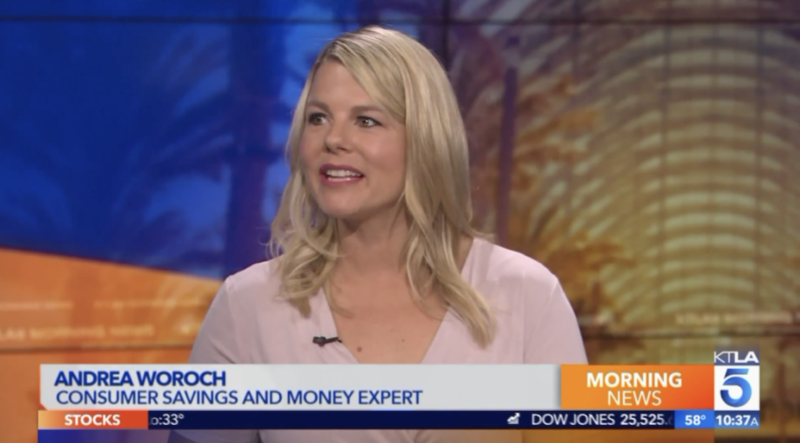 I stopped by KTLA Morning News for my monthly money segment today to talk about a fun topic–How to KonMari Your Money! Marie Kondo’s Netflix series “Tidying Up” has sparked a decluttering movement across the country and her tips can help you rid the clutter and chaos from your life. But aside from reorganizing your home, you can even use The KonMari Method to clean up your finances. Sound interesting? Check out my segment by clicking on the image below! Here is an overview of the points I discussed in today’s segment. Every expense and purchase (even those $5 lattes or $20 top from Target!) should have it’s very own place in your budget. Otherwise, you risk spending more than you make and going in to debt. Establish a budget by tracking income and expenses in a spreadsheet or turning to a financial app to do the job like YNAB. Purge paper clutter by choosing to go paperless with bills, bank statements and credit cards. Then, set up auto pay so you never miss a payment date. Apps like Flipp let you access store circulars and deals on your phone so you can toss those and unsubscribe altogether. Sell the items that don’t bring you joy. If you have clothing that you don’t wear or toys your kids don’t play with, sell or donate them. Clear out credit cards from your wallet. Stick with just one or two cards that meet your spending needs so you can maximize rewards that matter most to you such as airline miles. Check out the Shoeboxed app to turn paper receipts into digital files. Tackle one project at a time so you don’t get overwhelmed. For example, if you need to cut back on eating out, pick just 1 or 2 nights a week to prepare your own meals until it becomes a habit and build from there. How do you organize and manage your money? I’d love to hear your ideas!